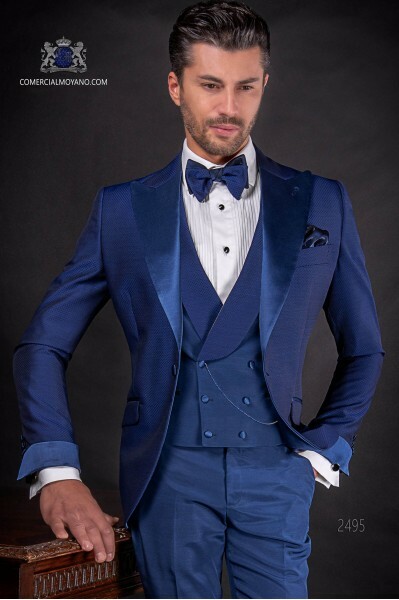 Italian bespoke royal blue microdesign suit with wide peak and satin lapels and 1 satin button. 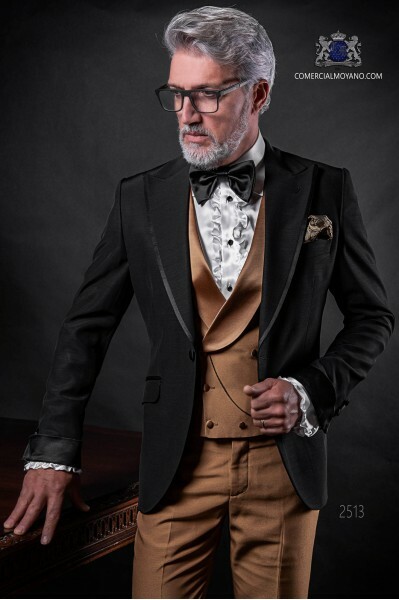 Coordinated with a vest with shawl flap of the same microdesign fabric and trousers in mixed wool fabric. 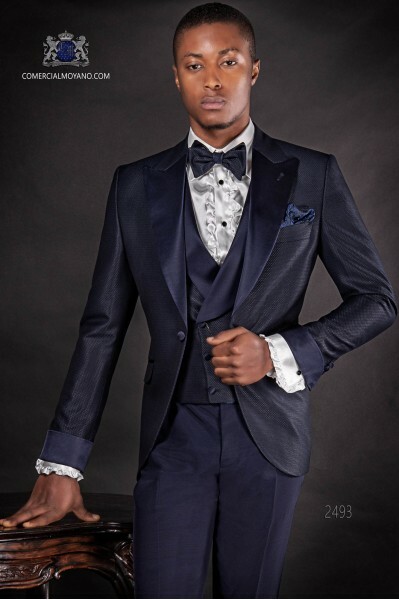 Microdesign wool mix fabric. 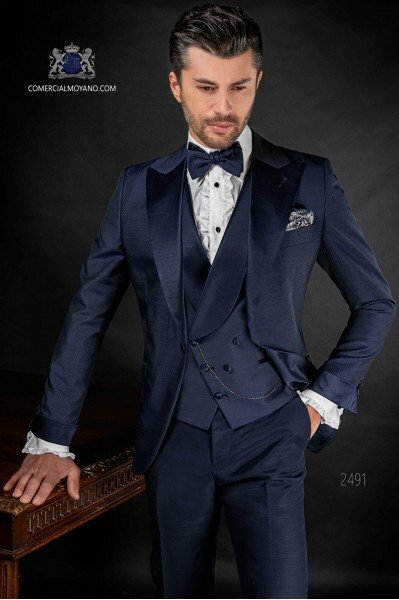 Tuxedo Wedding suit 2489 Fashion Formal Collection Ottavio Nuccio Gala. 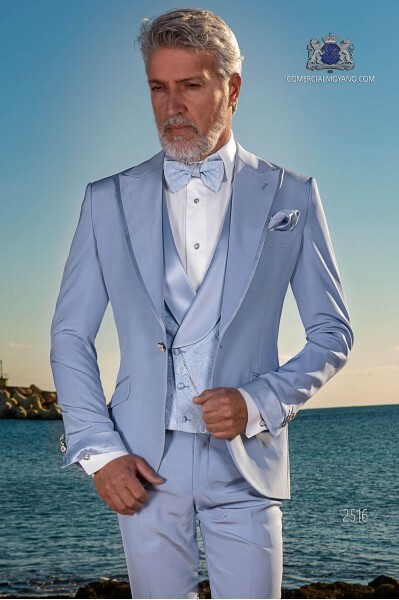 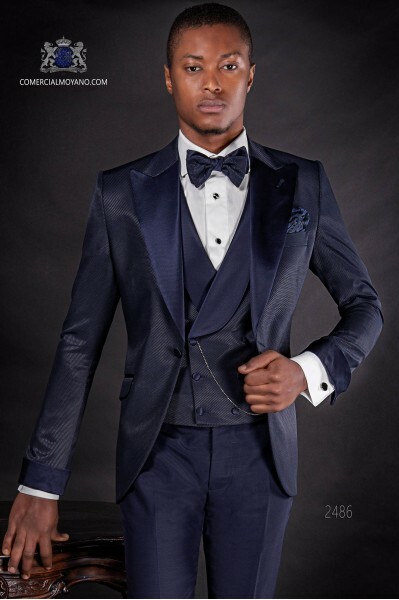 Italian bespoke blue tuxedo with satin shawl collar and 1 covered button. 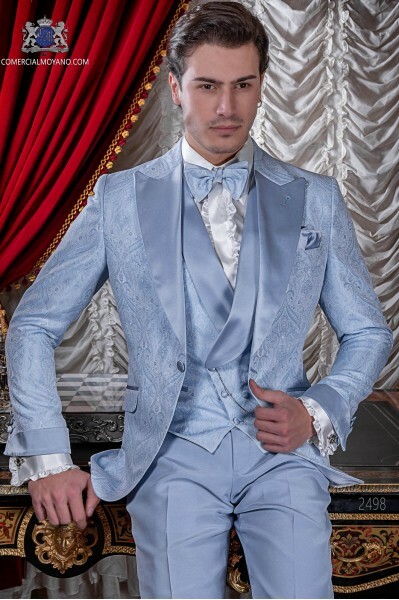 Blue microdesign fabric. 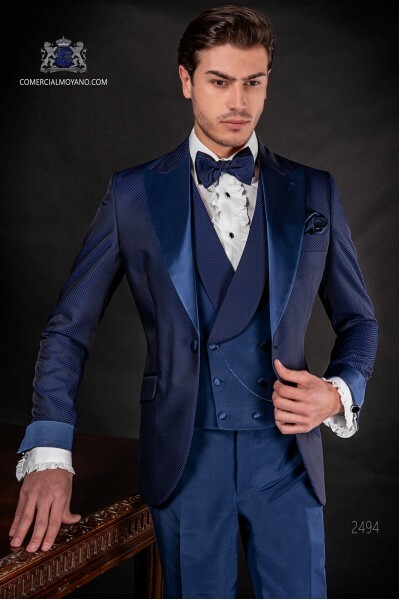 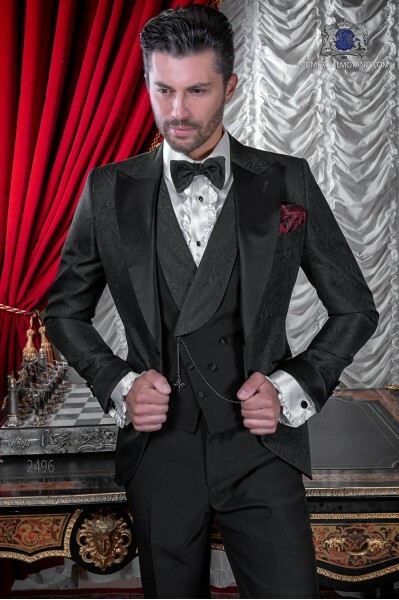 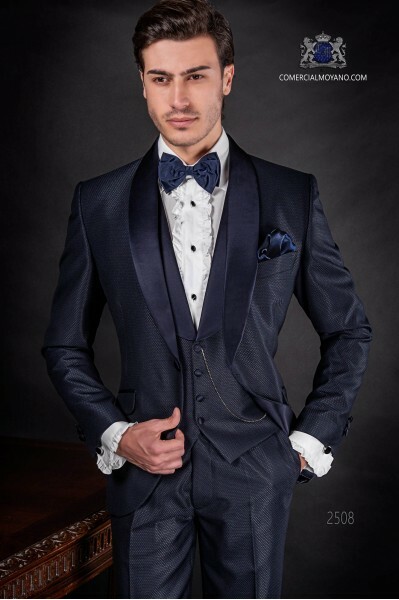 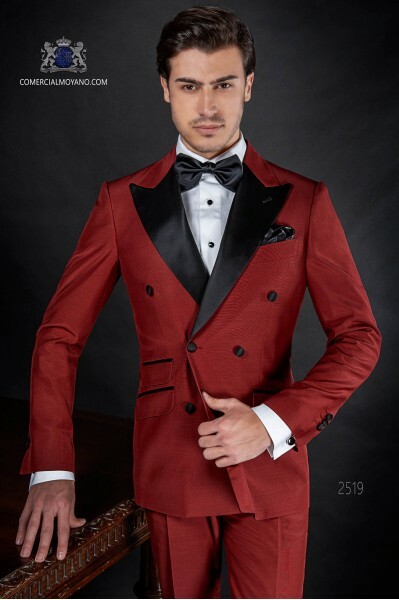 Tuxedo wedding suit 2508 Fashion Formal Collection Ottavio Nuccio Gala.Coordinated with shawl lapel waistcoat of the same fabric. 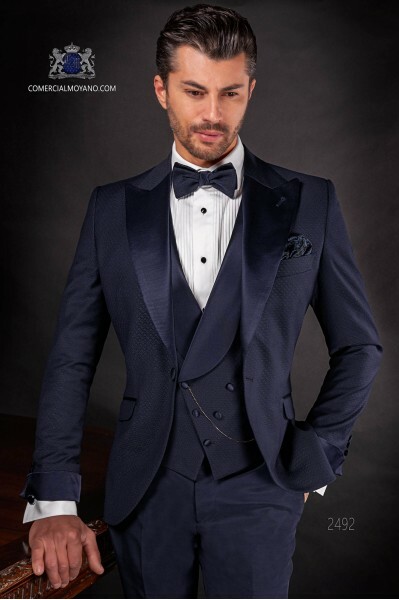 Italian bespoke dark blue microdesign suit with wide peak and satin lapels and 1 satin button. 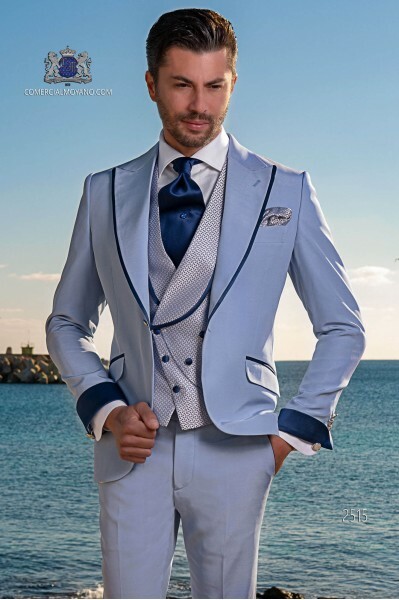 Coordinated with the same fabric waistcoat and trousers in mixed wool fabric. 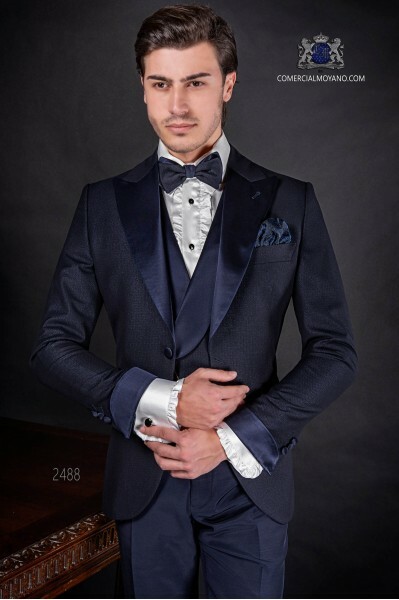 Microdesign wool mix fabric. 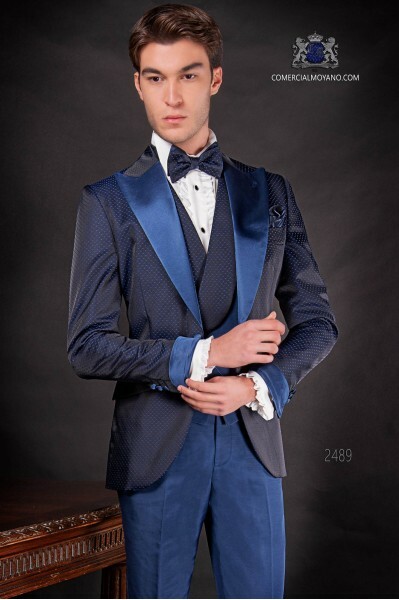 Tuxedo Wedding suit 2486 Fashion Formal Collection Ottavio Nuccio Gala. 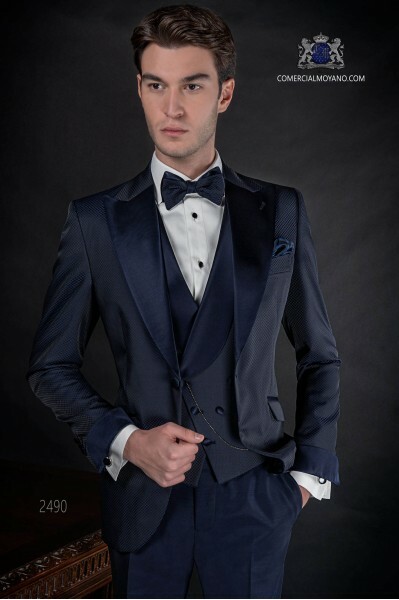 Italian bespoke dark blue microdesign suit with wide peak and satin lapels and 1 satin button. 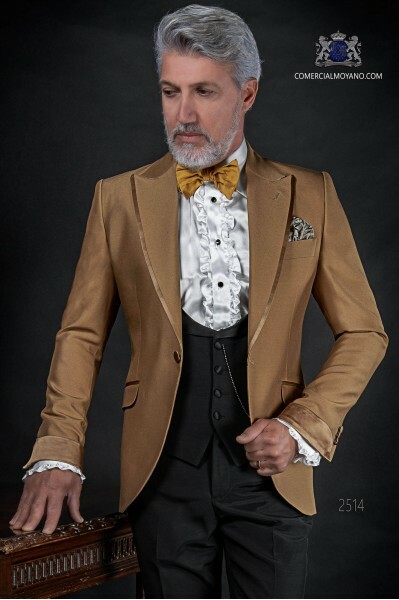 Coordinated with the same fabric waistcoat and trousers in mixed wool fabric. 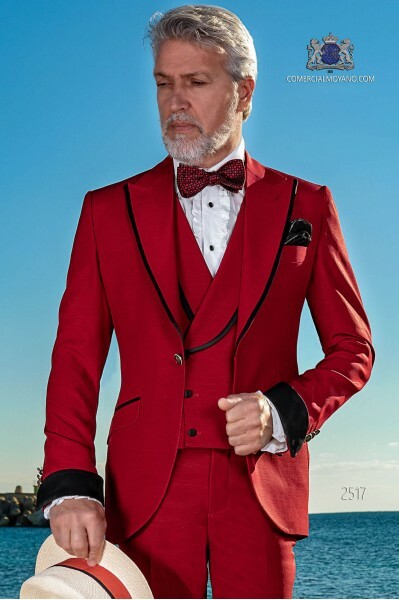 Microdesign wool mix fabric. 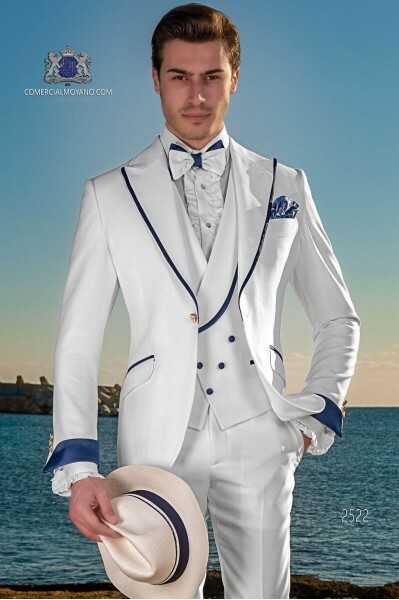 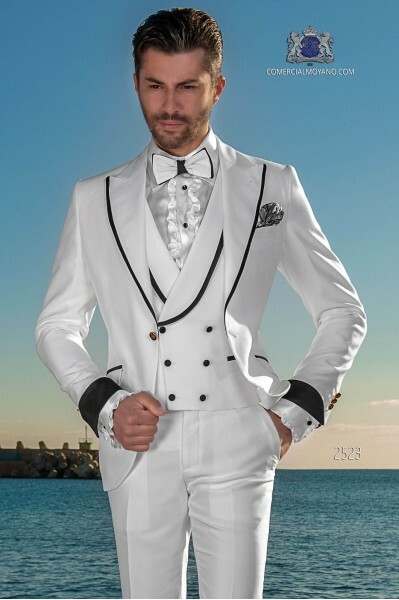 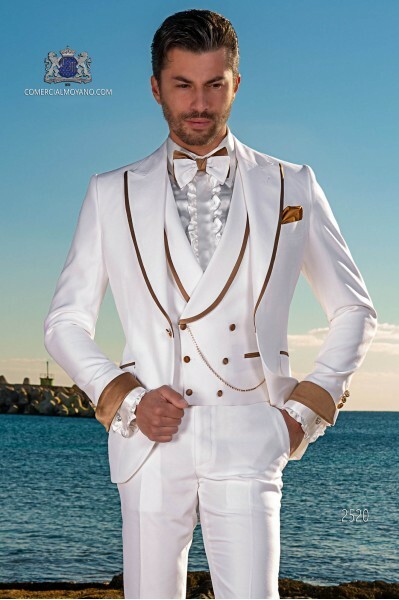 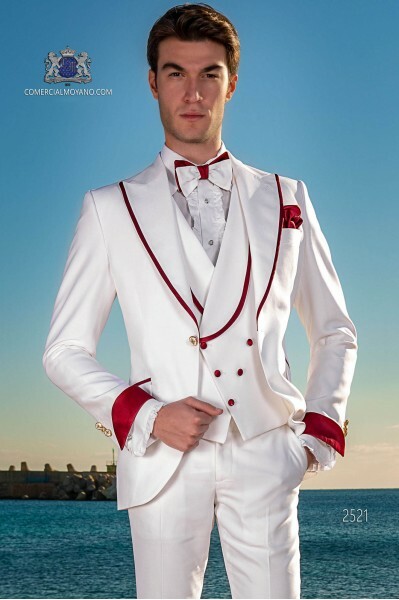 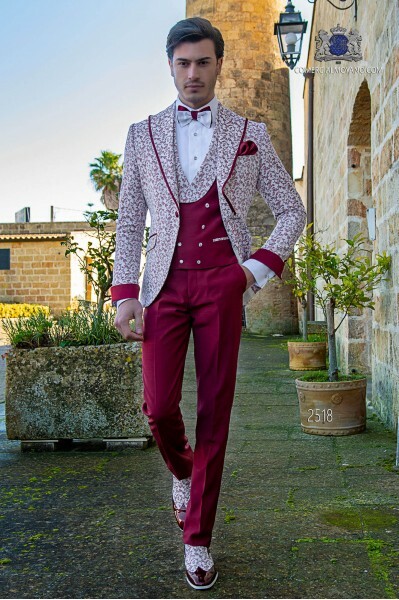 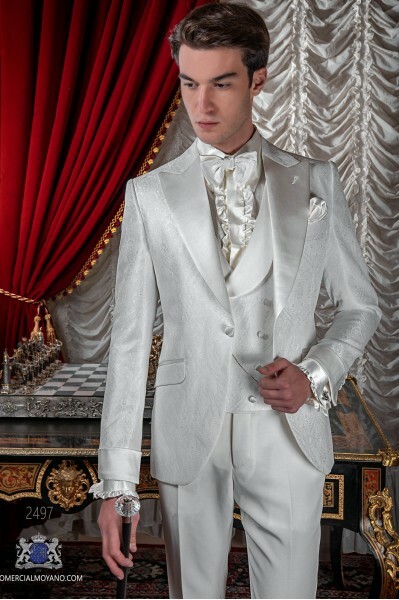 Tuxedo Wedding suit 2492 Fashion Formal Collection Ottavio Nuccio Gala.